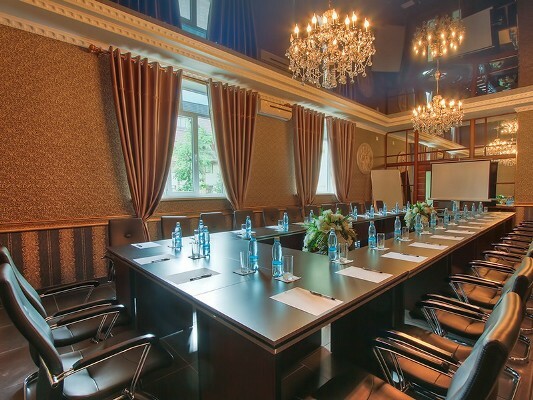 Grand Hotel is located in the central part of Bishkek city at the intersection of Frunze and Shevchenko streets. Our Hotel meets the international requirements for Four Stars hotels, combining luxury of a hotel and home coziness. It will satisfy both tourists and businessmen. 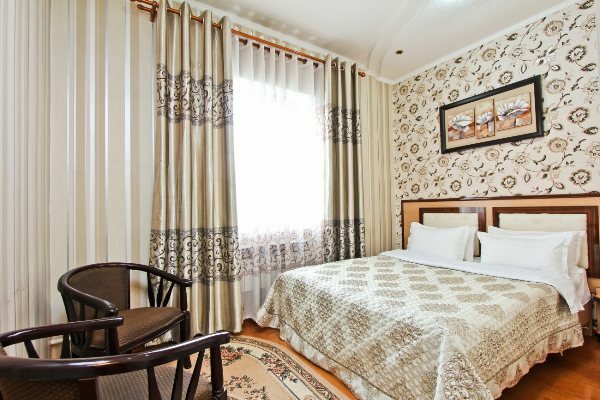 Grand Hotel is a hotel famous for its splendid location in the center of Bishkek. It is situated in a quiet part of the city not far from the Kyrgyz State Philharmonic, close to the Ala-Too Square, at the center of the city cultural life, in one of the most beautiful places of the capital. Due to its location and comfort this four-star hotel is the best choice for an unforgettable trip. The rooms are light and clean, and we always make sure that our guests feel at home here. Every room of our hotel is equipped with TV with IP television, individual controllable air-conditioning, Wi-Fi and comfortable aesthetic furniture. The bar located in the hotel complex is a pleasant place for meetings and rest. Delicious and splendid dishes of both European and National cuisine will satisfy a gourmet. Your meal on the summer terrace outdoors, at a table by the fountain, will be even more pleasant. The Garden of the Grand Hotel is an oasis in the center of the city’s turmoil, a quiet courtyard fenced off from a noisy and dusty city. A separate cozy territory with green spaces and a fountain will allow you to relax in the fresh air and find in a quiet corner a solitude with nature. Feel the freshness and coolness near the fountain on a hot summer day, the meal near the fountain truly will not leave you indifferent, you can taste the dishes of our restaurant right next to the fountain, the Grand Hotel is your “Oasis” in the center of the capital! 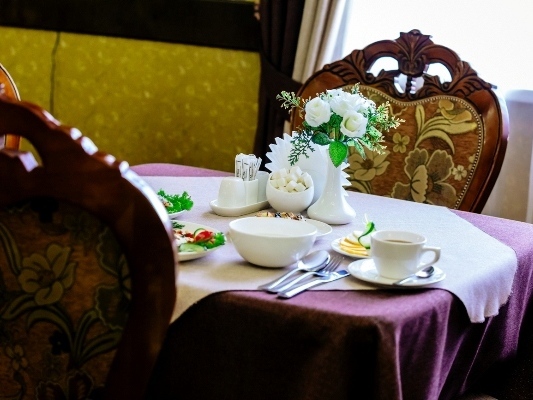 Our hotel is most of all associated with the motto “Your Home in Bishkek”. Professionalism, friendliness and warmth are distinctive features of our service.